This is a high fashion editorial competition meant to push your skills to their limits and bring out your creativity! We have 6 assignments ranging from semi-easy to hard with varying themes that are more geared towards Intermediate levels, but are meant to encourage all levels to do their best (and of course I'm here to provide tutorials, etc.). Regardless of your level, if you want to join I highly recommend doing so as this will be great practice for you! Remember that it’s about the journey and having fun, not winning, and if you remember that you will have fun regardless of your scoring and placement in the end. It will help prepare you for the assignments ahead and help you understand what to expect. You are not required to read these, but they will most likely help you if you are only used to pageant or regular competitions. I also recommend you go shopping for unique poses and clothes, because your casual poses and fashion will not get you far in this comp. We’re looking for the most fashionable and unique models, so get your wardrobe ready! http://sssvitlans.tumblr.com, aka Lana CC, has tons of poses (and other CC) that are categorized neatly. I recommend checking their page out for your future shopping sprees. Prizes for each competition may differ, but the Final 3 (or more) will always receive a banner/signature for memories and to display their win/placement. Roles will also be given on Discord. Public voting will never be used to determine the winner of a competition. All Sims games can compete, Sims 2, 3, or 4! All editing/competing levels and styles are welcome! Beginner, Intermediate, Advanced, No CC, Maxis Match, Alpha, Cartoonish, Realism, etc. Feedback is given in every competition to help you improve, unless otherwise stated. Judges can skip feedback if it causes anxiety/stress or they are busy atm, otherwise feedback will be provided. Contestants can opt out of feedback as well, but this is for the entire competition and not per round. You may change your mind later. Remember that we do not permanently alter the genetics in competitions. Hair color/style is the only exception, everything else is temporary. Sims/models must be of your own creation, unless you have permission from a creator to use theirs. 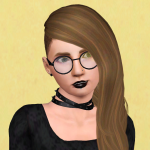 Sims/models may be re-used or new. NO use of human or art body parts, or art abuse, in any competition (aka photoskinning, face/bodyplastering, or simmerizing, etc.). High quality stock/Google hair, objects/accessories, and clothes are fine in the appropriate competition. If you do clothes manipulate them onto the Sims body, not the other way around. NO copying. Each entry should be unique but accidents are normal, even in DM only comps. If you are hesitant to post publicly DM your entries to me, but I promise that copying results in punishment and you have nothing to worry about. NO cheating. This includes having other people edit for you. No one should ever do that for you in any competition, regardless of the excuse or host saying otherwise. These are competitions, meaning you are competing with your talents and creativity, not someone else’s. NO re-using renders/images from previous competitions. Full redo’s/resubmissions are not allowed. One time edits (lighting, shadows, crops, text, etc.) are allowed. Inform me when you do so I can update everything. Extensions need to be asked for at least 8+ hours in advance. Extensions last for 1 day unless you absolutely need more time. Late submissions are accepted if you submit before the judges get back to me, otherwise you will either be eliminated or receive the lowest rank, depending on the competition. If you are traveling/going on vacation, please inform me so I can send you the assignments before you leave. Do not talk about, or send, the assignments you received to other contestants. Please do not drop if you score badly (or in general unless it is a good reason) because you won’t improve by doing that. Each competition offers different challenges that help you grow and quitting early stumps growth. Use the feedback and resources to improve yourself, and don’t get disheartened if you do score badly. Trust me, we've all been there before. If you have questions or concerns, message me! I highly recommend using females, but males are welcome if you want the challenge. Any size, YA only. No supernatural/fantasy/sci-fi/etc. sims, and no berry sims. A max of 15 contestants will be allowed. Extended to 20! 2 models max per contestant, and they will not be counted towards the total to ensure that everyone who wants to join can join. I recommend sticking with 1 model, especially if you are a lower level. There is no roleplaying or storytelling required in this comp, unless you choose to do so. CC is **highly** recommended, but not required. Alpha or MM accepted. Editing is technically required for most rounds, but if you think you can manage with in-game shots you are welcome to try. You are allowed to draw. All levels are welcome, but this comp is meant to be challenging so probably isn’t beginner friendly. Give it your best shot though if you’re interested! It will give you a lot of experience regardless. High quality Google/stock is allowed for hair, clothes, and accessories. Remember, no human or human-art parts, faceplastering, simmerizing, etc. If your assignment looks like face or bodyplastering (aka like you only placed the sims face/parts over the person’s body/clothes/image), etc. you will be required to redo it. Clothes are manipulated onto the sim’s body, not the sim being cloned onto another person’s body (or image). Please do not copy ideas from other people in magazines, online, in shows, etc. It’s okay to be inspired (meaning similar idea), but if you’re copying majority of everything including the pose, accessories, background, etc., you’re just copying someone else and being uncreative (not to mention I may have seen the image you are copying and it won’t be new or impressive to me). Just like you are not allowed to copy contestants, don’t do the same to someone else out there. Assignments will be 7 days long unless something causes this to change. This is a non-cumulative (aka no “leaderboard”) competition with eliminations. There will only be 6 rounds for this competition, with the semi-finals in round 5 and the Final 3 competing in round 6. Eliminations start round 2. Please see the Scoring section and/or #results channel for information on the scoring rubric, score breakdown, and tips. 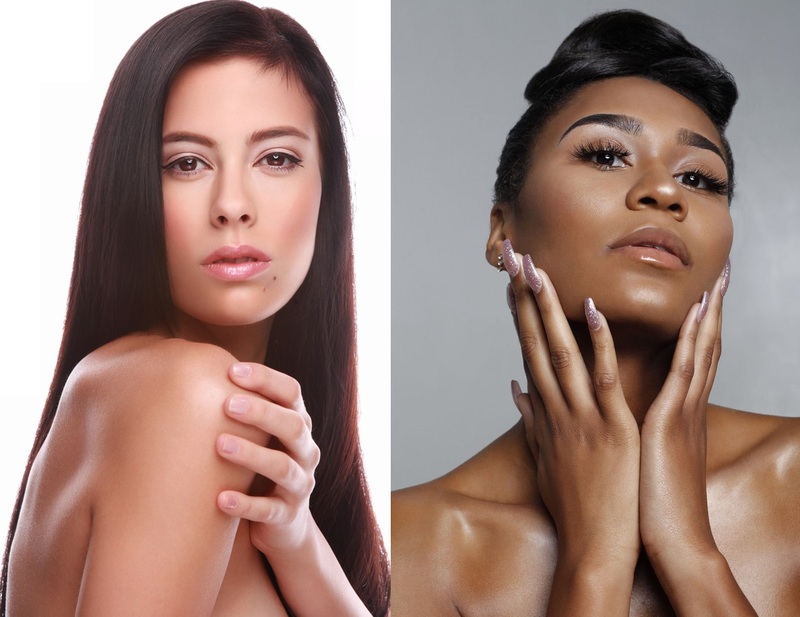 Submit a captivating transparent headshot with bare shoulders. Keep the styling and makeup simple and natural. No large accessories (purses, headphones, umbrellas, backpacks, etc. ), no dramatic filters (B&W, neon, aged, etc. ), and no text. Eye contact not required. Simple accessories (aka jewelry) are allowed, just make sure they aren’t distracting. When posting please give your models name. You will need early Intermediate experience (meaning just beginning Intermediate techniques) or higher to apply (if you are unsure of your level, ask). I will take a max of 4 judges, for a total of 5. Please only apply if you have time to judge, meaning you can score 90% of the rounds. Welcome to Fashionography ladies and gents! Let’s get started with a semi-easy first assignment to ease you in. For this first assignment I want your model sitting like the bad*ss boss she is. Not casually, not dainty, but like she owns the modeling world and is here to prove it. She should be dressed for the role too in a suit or suit-like outfit, hair down, and dark or natural makeup. Accessories and background are up to you for whatever idea you have. Remember, keep your image editorial, and your main focus is a fierce or commanding sitting pose and expression. Now that you’ve shown the world whose boss, it’s time to flaunt your wealth and influence too! You’ve just bought one of the latest and greatest robotic pet prototypes out there and are now doing a futuristic photoshoot with your fab new pet. The theme is of course the future and anything that might be in it, so dress in your best futuristic high fashion with an accompanying futuristic background (and your robotic/metal pet of course). Makeup, hair, and accessories should be futuristic too. They don’t need to be avant garde, just giving a futuristic vibe. Below is what you will be scored on. Remember, this is an Intermediate based competition so the expectations and what we are looking for are higher. If you are struggling, etc. read the Tips section below the scoring rubric/breakdown or ask for help. Creativity – Was your idea out of the box? Are you truly using your resources to the best of your ability? Make sure you are pushing your limits and thinking about your details, don’t do “safe”. The pose, clothes/styling, background, and overall theme should be creative. Appearance – Was the model styled appropriately for their location and/or situation? Is the styling high fashion and fashionable? Are the poses creative/unique and modeling quality (so no Instagram or casual poses)? Did you remember to accessorize? Quality – This is an all-in-one category that has quality, editing, and composition in it. This is because quality/editing/composition are basically the same category in the end. (Ex: Did you edit badly? Image quality goes down. Is the image quality low? Fix it with editing. Is your lighting bad? Use filters, etc.) To score well here, consider each section carefully. Quality means that your image (background, sim, objects, or effects, etc.) should not be grainy, pixelated, badly blurred, over sharpened, etc. In-game quality is considered minorly in this competition because as an Intermediate you should know beauty and correction editing by now (if you do not, review some tutorials before submitting your assignments or ask for help; SRWE will help tremendously with quality). Glitching limbs, hair, etc. are considered as well. Your editing is basically everything under the sun. So, consider your lighting/shadows (includes making/adding shadows and light), brightness/contrast, color balance/filters, sharpening/blurring, cutting, blending, cropping, drawing, etc. Composition includes majority of the previous stated stuff, but don’t forget photography concepts like Rule of Thirds, space, your angles, proportions, etc. Appeal – How appealing is your image overall, including does it fit well with the assignment theme? How well your picture fits an editorial is considered here as well. Requirements – This section is seriously easy points. When I give you an assignment the requirements will be stated as a list. Please make sure to review that list while working and before you submit to ensure you met all the points. Terms to use when searching for inspiration are “modeling”, “fashion”, “editorial”. You may need to use all 3 to get similar images or maybe just one, it depends the theme. Pinterest is your best friend for anything modeling related. Instagram, if you find real models and not random people, will be a good resource too. Fashion websites (Vogue, Harper’s Bazaar, etc.) and their social media pages are good resources as well. If you want to do well, please make sure to shop for the best clothes and poses. Casual poses (aka just standing there or casually standing, etc. ), Instagram-like poses, etc. will get you very low Creativity and Appearance scores. 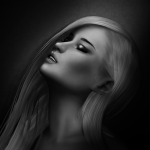 If you are new to modeling, or a beginner, or in general unfamiliar with these style of comps, make sure to take leaps that you normally wouldn’t and avoid safe pictures. Don’t rely on just a handful of poses, or CC, throughout your competing career, and also in a single comp. Judge’s will notice things like that (we are a small community after all) and it makes you seem uncreative, so try to shake things up by using other options in each round and in each competition. Go shopping regularly to give yourself new options. Lana CC is your godsend. PNG is the best option for photos. Not only does it retain the quality better than JPEG, but it also keeps transparency. Submit large images, not small. If the background you are using causes the image to be small, find a new one. If you are using Discord to save apps/backgrounds, make sure you open the original image to save. Do not upload images via your phone either as it lowers quality. Read other people’s feedback to learn extra tips and use the feedback to improve. Don’t ignore the feedback. I’ve seen too many times where an issue was addressed, like rough edges, and contestants ignored that feedback and continued to get low scores because of it. The feedback is not there to hurt your feelings, it is there to make you a better competitor and editor. Don’t focus so much on winning or losing. It’s not only the wrong mentality to have, but you’ll quickly realize it makes your experience worse if you don’t score well. Instead, focus on the fun and learning. Use the available resources to improve your editing and modeling knowledge, like the Sims Editing Workshop or my linked tutorials (check my tutorial thread). 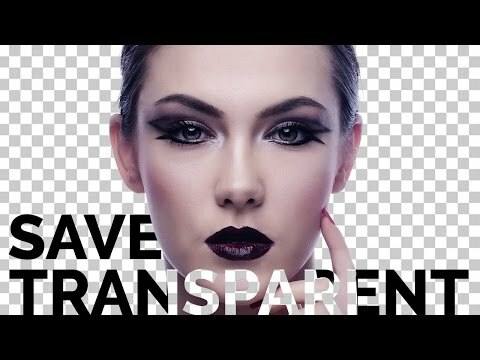 Great resources for editing on Youtube include Phlearn & PiXimperfect. Have fun. Seriously, enjoy the competition! The wait is finally over, Fashionography is here! Same thing as last time regarding the "Info" section. If you are new you should read both "General Rules" and "Competition Info". If you are familiar with my competitions then you only need to read "Competition Info". Applications and Assignment 1 close on the 23rd. Like WWIB the assignments will go up as soon as the previous one ends. I am due May 15th so will probably have a long assignment date when we arrive at that time in case I'm out of commission. Just giving you guys a heads up now. If you would like to be a judge, please let me know! So far it is just Jezi and I. Sure thing guys! @Jendowoz0612 While I was setting up all I could imagine was you constantly refreshing the page, hahaha! @Bubbz3388 Does that mean you want to participate? Simming Blog: Booky Loves Shiny Things! Thank you @Jendowoz0612 ! I like your model too. We have similar poses. @Bubbz3388 You made her transparent in your program but it exported it with a checkered background. XD make sure you're saving as Png nvm, seems you did, so it's a setting issue you'll need to correct for exporting. Let me know if you still cant get it and what program you are using so I can give instructions (her hand is also slightly missing in case you want to fix that). @Bubbz3388 You can use tinypic.com:// to upload you picture. Maybe it is a problem. The blog might be the problem but I'm not sure, so try Tinypic like she suggested, or Flickr or Imgur. Imgur might be better. Here is a video on exporting if you need it (I just go to "Save As" and select Png, lol). @Bubbz3388 Theres still a background behind her. The checkers should not be there when you export or save as png. Did you follow the video?